Pulpo is one of the most recent launches of Pagos del Rey. 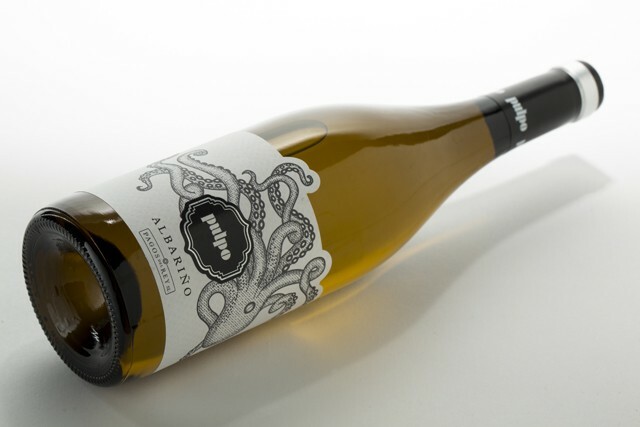 A white wine made from “albariño” grapes carefully grown in the vineyards of the región “Val do Salnés” (Salnes Valley) in Galicia, which belongs to Rias Baixas appelation. Pagos del Rey, with four wineries located in the main wine-producing appellations in the north of Spain like Ribera del Duero, Rioja, Toro and Rueda, starts a new project with a new wine from Galicia. This wine started its distribution in the restaurants of Spain. The wine making process of this wine is strictly supervised. Fermentation is done at a controlled temperature of 16ºC in stainless steel tanks. The result is a bright wine, pale lemon in colour with hints of apple green. The recommendation is to be served chilled, perfect with seafood, grilled octopus (“pulpo” in Spanish), and other typical dishes based on seafood, oysters, or mussels.